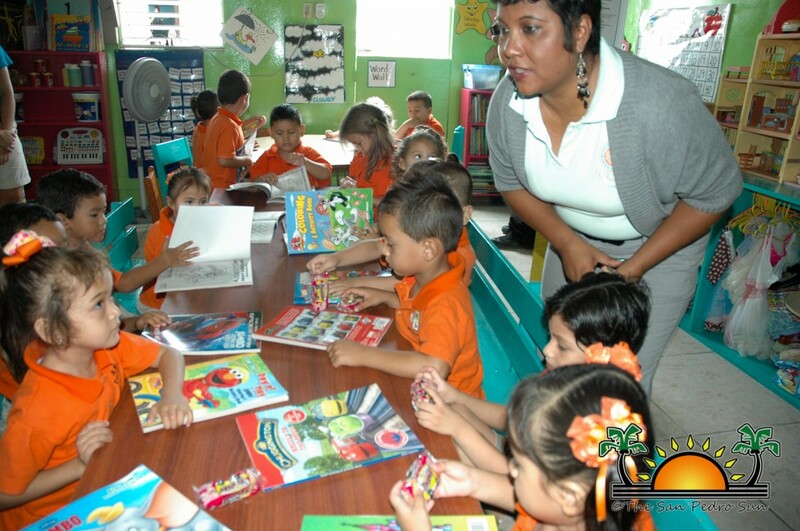 On Thursday September 19th, the country observed National Service Day. 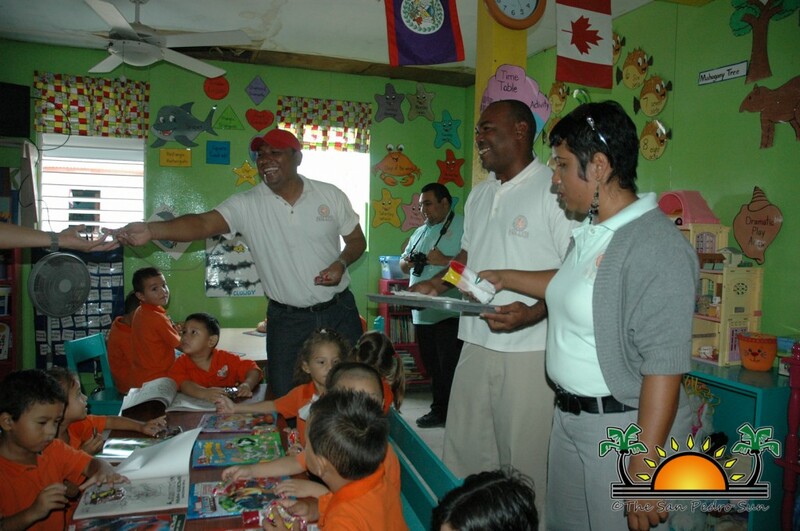 Organizations, schools and various entities conducted several activities in their respective communities. 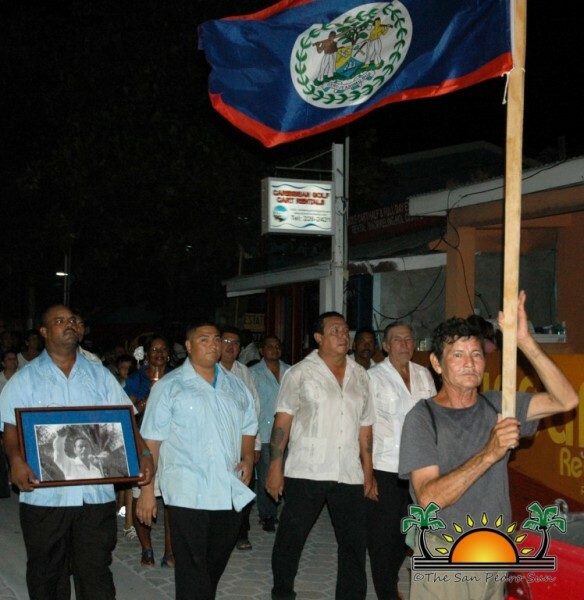 The celebration was set aside to commemorate Belize’s National Hero and Father of the Nation, Rt. Hon. George Cadle Price. 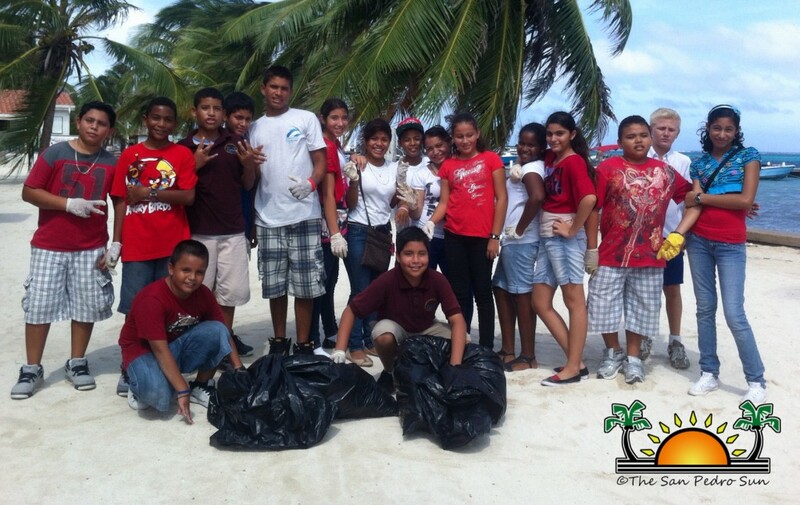 On Ambergris Caye there was no shortage of events as many students and residents joined in the different activities. 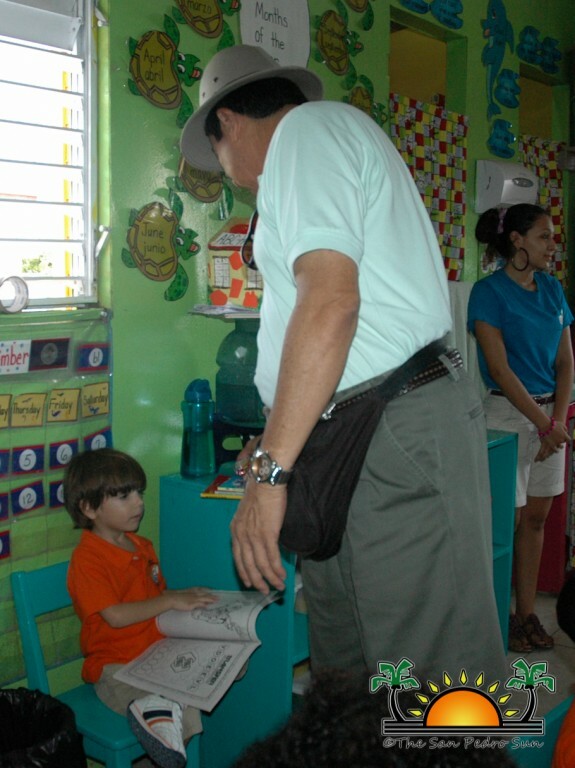 As part of the activities for National Service Day, the San Pedro Town Council visited all the pre-schools on the island where they spent time with the students. 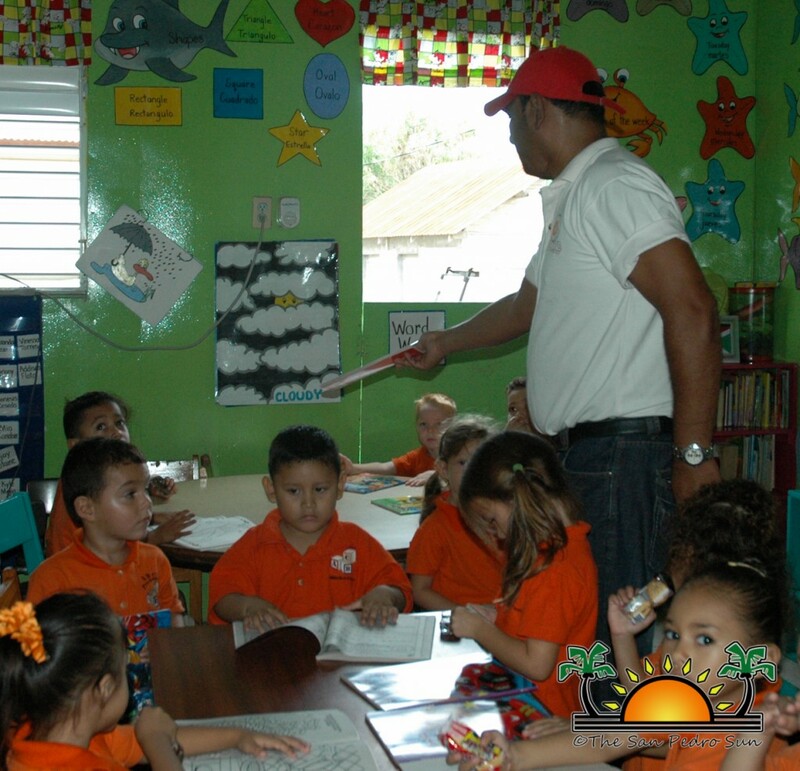 Mayor of San Pedro Town Daniel Guerrero, his councilors and support staff joined in as they distributed coloring books along with refreshments to the students. The students smiled as they graciously accepted the gesture made by the council. 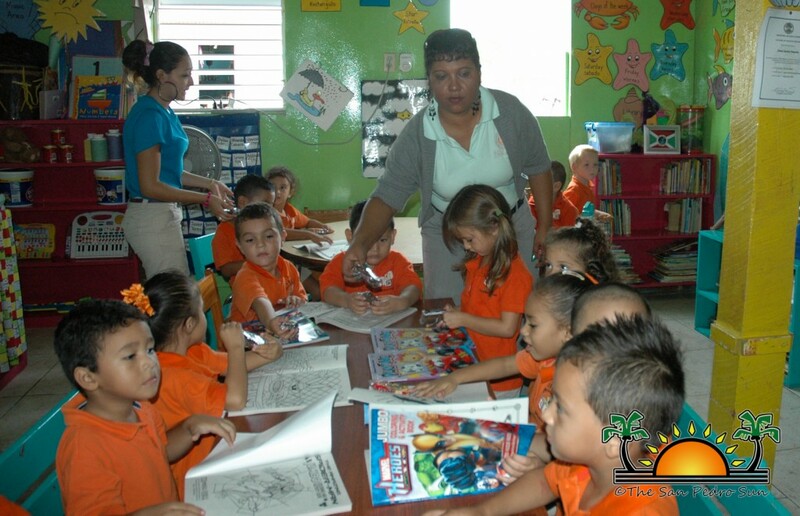 And while the councilmen were out giving books and refreshments, students from La Isla Bonita Primary School were also doing community service. 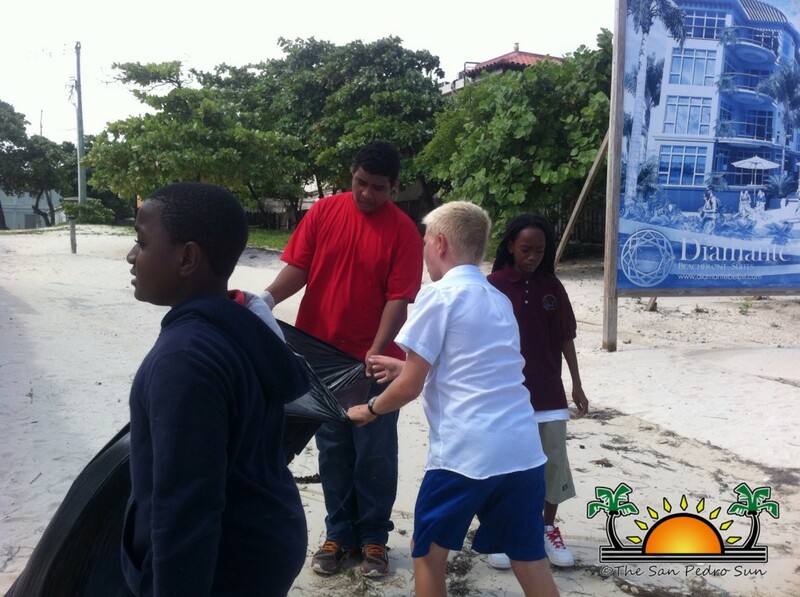 Rakes and garbage bags in hand, the students were visible cleaning the beach making it beautiful in time for the weekend’s Independence Day Celebration. 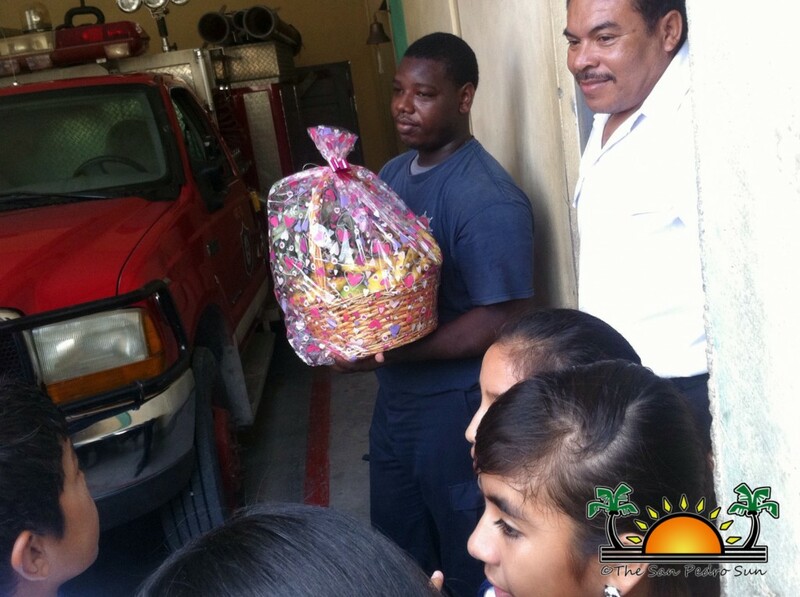 San Pedro Roman Catholic students on the other hand, were also out visiting public officers at their work sites where they handed out fruit baskets as a symbol of appreciation for the work they do in the community. 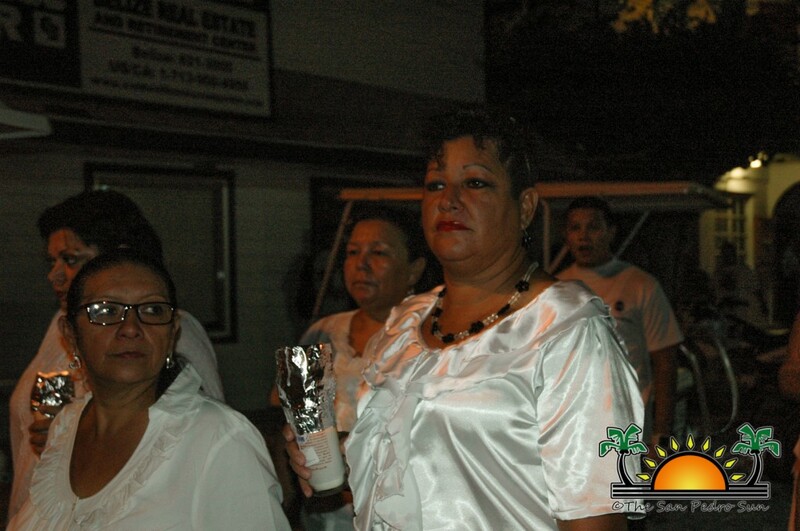 Later in the evening, the People’s United Party – Belize Rural South Committee, the political party formed by Mr. Price, organized a candle night walk through the streets of downtown San Pedro. 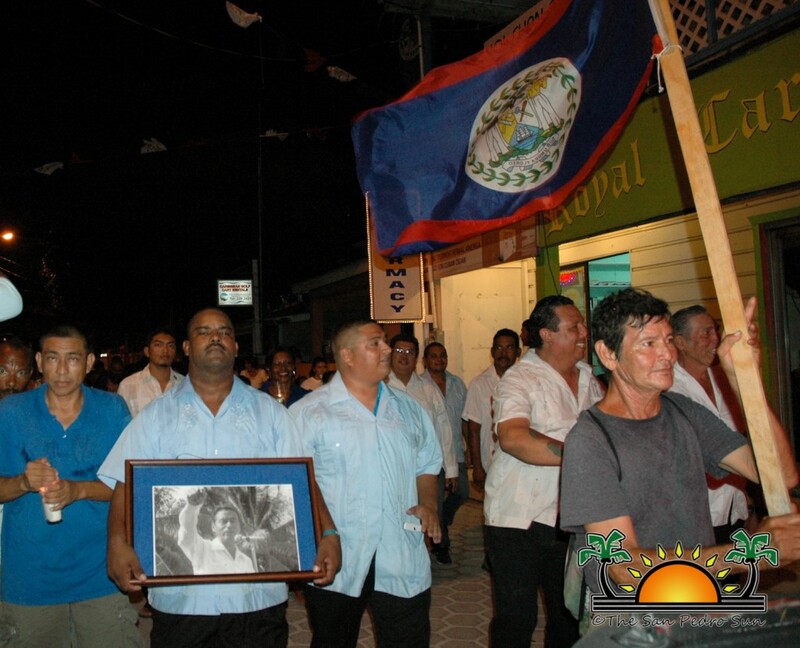 The party loyalists and a few other supporters held candles in their hands showing their respect to the former Prime Minister of Belize who passed away two years ago on September 19, 2011. 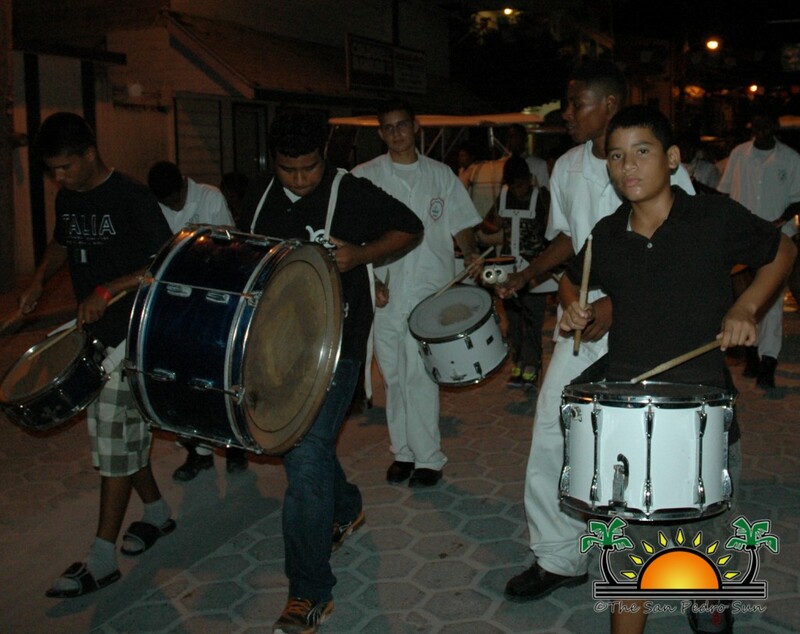 The vigil ended with a church service in honor of the Father of Nation at the San Pedro Roman Catholic Church. 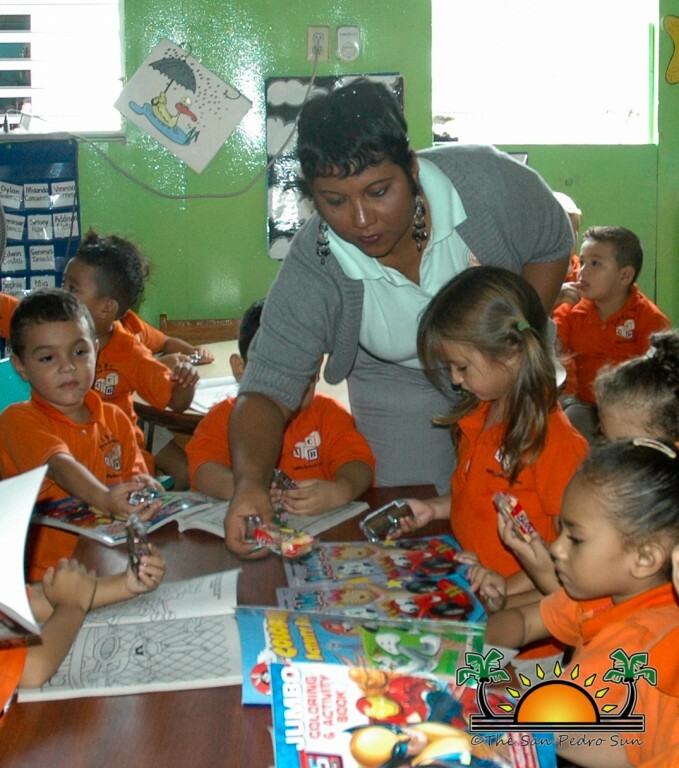 Students at the San Pedro Junior College also held a special ecumenical service to coincide with National Service Day. The service was in memory of Mr. Price, who served as leader of the country for many years. 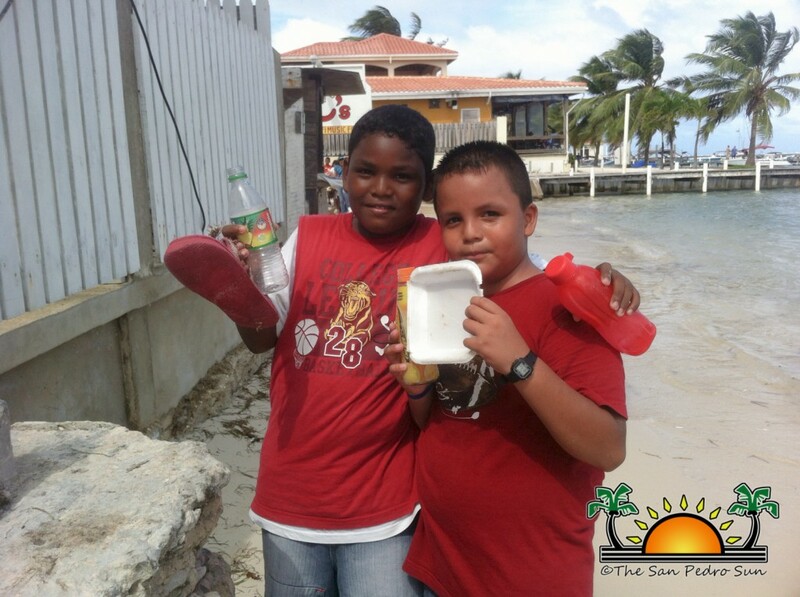 Students of all different religions were asked to look within themselves and embrace their Belizean heritage. Several guest speakers from within the community also addressed the student body. 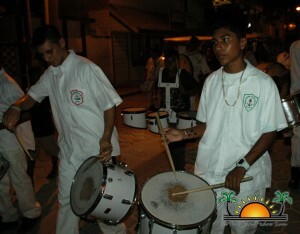 On such speaker was, Angel Nunez who spoke about been patriotic citizens and striving for the betterment of the country. 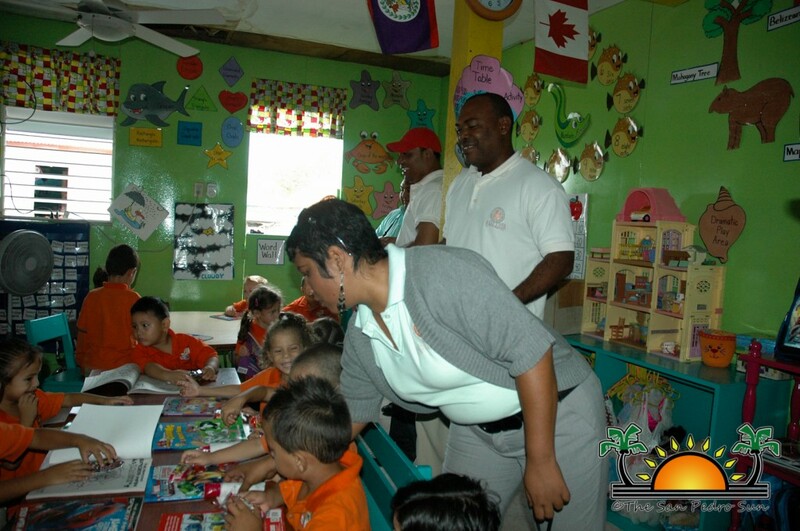 Melanie Paz, Chairperson for Belize Lions Zone 59 also spoke about the importance of community service and volunteerism. 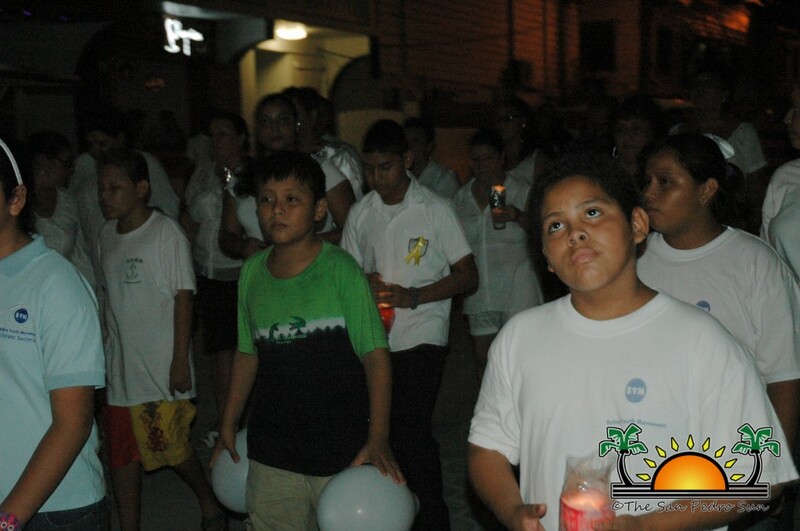 At the end of the ceremony, students observed a minute of silence in honor of Price and they also promised to improve the community. National Service Day was first declared by The George Price Centre for Peace and Development last year and this is the second year that it is being observed countrywide. 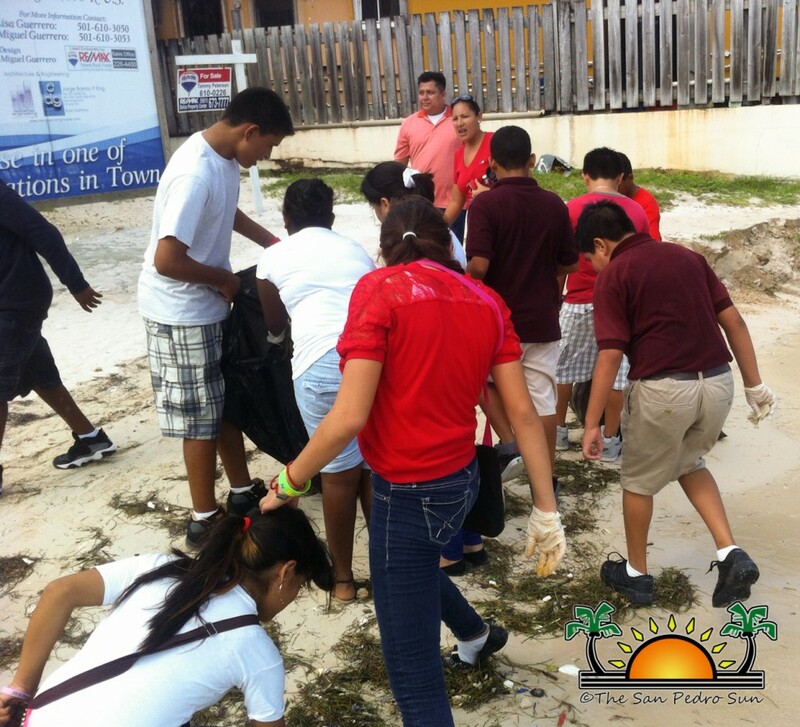 The San Pedro Sun applauds and salutes all Belizeans that participated in the various events in connection with National Service Day.